Snowy Tree Supplies: Whisper White Card Stock, Brayer, Classic ink Baja Breeze,Not Quite Navy, Tree Stamped in Basic Gray, Stampin sponges,White Gel Pen, Scratch paper,Card Stock for Card. Reeds and Sunset Supplies: Whisper White Card Stock, Brayer,Classic ink, So Saffron,More Mustard,Really Rust, Close to Cocoa,Baja Breeze, not Quite Navy,Sponges,White Gel Pen,Circle punch,Post-it notes,Scratch Paper,Card Stock for Layering. This were so much fun to make can't wait to try some more Brayer Cards. This beautiful card was designed by Patty Bennett. We all made one at her down line May meeting. It is just beautiful. If you would like to make one Patty's blog has a video to help you. tutorial.http://pattystamps.com/pattys_stamping_spot/2009/04/brayered-roses-technique-and-video.html. I hope you try this wonderful Technique. Have a great Stampin Day. accessories: Dots Texurz Plate, Eyelet Edge Punch, Pretty in Pink Taffeta Ribbon,Sticky Strip, and Demensionals. I adore this card Cindee! I will be casing this one for sure. What can I say about these 2 cards but they are fabulous. Two more card that we made at Patty Bennett's Luv 2 Stamp Meeting. I have such a great up-line. THESE MEETINGS ARE A WEALTH OF INFORMATION. 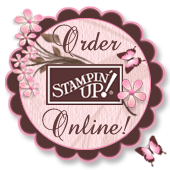 IF YOU WANT TO BE PART OF A GREAT TEAM THE TIME IS NOW TO SIGN UP TO BE A STAMPIN UP DEMONSTRATOR. WITH JUST A FEW DAYS LEFT TO TAKE ADVANTAGE OF THE SPECIAL OF THE MONTH. 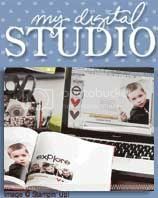 CLICK HERE http://www.stampinup.com/us/enu/14611.asp FOR ALL THE DETAILS. I ALSO HAVE A LINK ON MY LEFT SIDEBAR. Designer Series Paper Used for these 2 cards is Bella Bleu and Pink Flamingo. 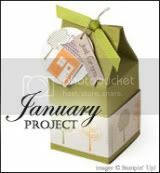 These 2 Designer series paper and many more Stampin Ups paper is also on sale only through the end of the month. click sidebar to find out more. Is this not the cutest. May 16th was Patty's down line meeting Luv2Stamp. She made these for all the helper at her meeting. She was so happy that Target $1.00 spot made these cute little note pad to match Stampin Up's designer Series Paper "Tea Party". The pens were made by Lene'e Pearson, She called them "Paper Mums" Such a awesome gift. Emboslit "Flower Burst Stampin Up!" Just a quick card share first time using Emboslit "Flower Burst" #114515. I love this Designer Series paper "Urban Oasis" #113978. Love this color combo! Kraft, Kiwi Kiss, Baja Breeze, Basic Gray. Thanks for Take a look today!!! I usually don't post family in stuff. But my Grandson is 2 now. I just can not tell you enough how fun it is to be a grandma. On Mother's Day was the first time he called me Grandma He Said "Hi Me Ma", That just made my day. Here is my version of the Big Shot scallop circle #113468 dress. We did this one at May's Stamp Club night. I used the Stamp Set Humor In High Heels. #11652. Bella Rose Designer Series paper. This little dress is so fun and easy to make. 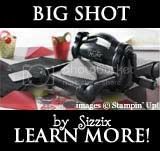 I used the Big Shot for almost every project I do. Here are 2 flower pot cards. My stamping friends had a great time making these cards . I am not the creator of this adorable project. I have seen many examples of this style of card. So who ever designed this card if it was you please let me know and I will be sure and give you full credit. The first one was made with Stamping Ups Birds and Blooms #113485 die. For the center of one flower I used Designer Buttons Latte #114333. Designer Series Paper I used is Urban Garden. Stamp set use to make tag is "Great Friends" # 113792 in the mini occasions catalog. also the leaves for the flowers are 5 Petal Flower Punch #109041. On the second card I used one of the flower from "Fifth Ave. Floral" 113734 I use the water coloring technique. The technique is on Patty Bennett's blog. Scallop oval punch #114889 and Large Oval Punch #107305. I used DSP scrap that I had for the pot. I just had to try this new technique everyone has been doing. This was my first attempt at water coloring on shimmery white card stock. It really give you a "wow" look and it is really simple. I did this card for my Stamp Club Friday night and the girls had a lot of fun. Patty Bennett has a great tutorial on her blog.http://pattystamps.com/pattys_stamping_spot/2009/04/watercolor-roses-technique-and-video-tutorial.html. On this card I stamped Versa mark on Shimmery White Card stock then heat embossed with White embossing powder. Thanks for looking.